Advisory IS Solutions Booth at Apics - (AIS) Advisory Is Solutions Inc. Sponsored the Apics Summit 2018 #apics yesterday! Apics had a fantastic turnout and had a well planned and thought out agenda. 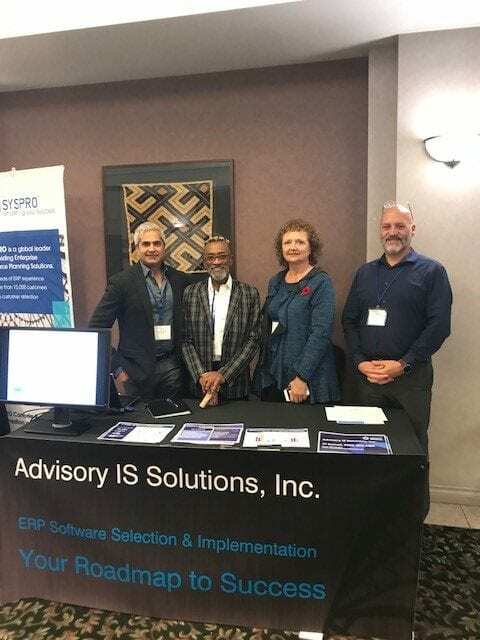 It was nice getting a few of my team together so we could share our experiences with the attendees about how we select ERP solutions for their industry and the Project Management of implementations so they get done right the first time!